As everyone is gearing up for this winter season, they are going to be looking for the perfect boot to wear on those cold wintery days. The ultimate winter boot needs to meet two very important qualifications; they have to meet the demands of the cold weather conditions, and they have to be versatile and comfortable enough to wear everyday. 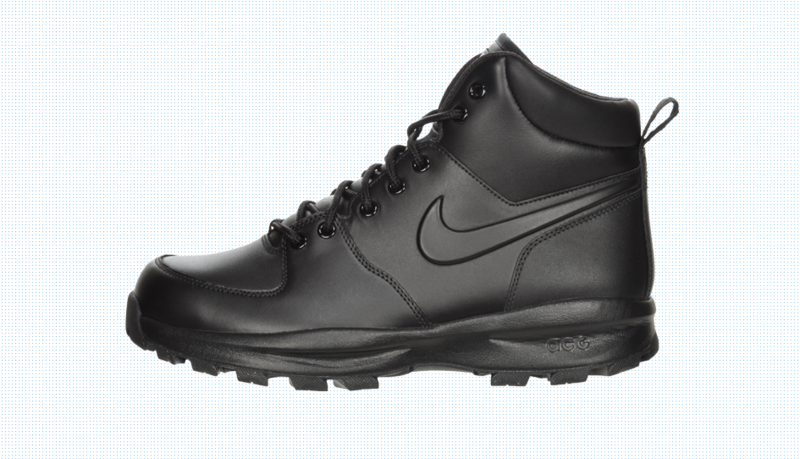 The Nike Manoa Leather Men’s Boot meets both of these qualifications, making it the ideal boot this winter season. Equipped with an ACG sole, this highly versatile boot is ready for wear in any type of weather condition. The shoe’s entire upper is coated in leather, adding to the overall durability and comfort. The padded ankle collar offers additional support and comfort as well, and the rear pull tap makes the shoes easy to slip on and off. The toned down color options of this boot make it the perfect boot for everyday winter wear, matching just about any outfit in your closet. So if you just need that one ultimate boot for this winter season, consider the Nike Manoa Leather Men’s Boot and you will be surely thanking yourself later.